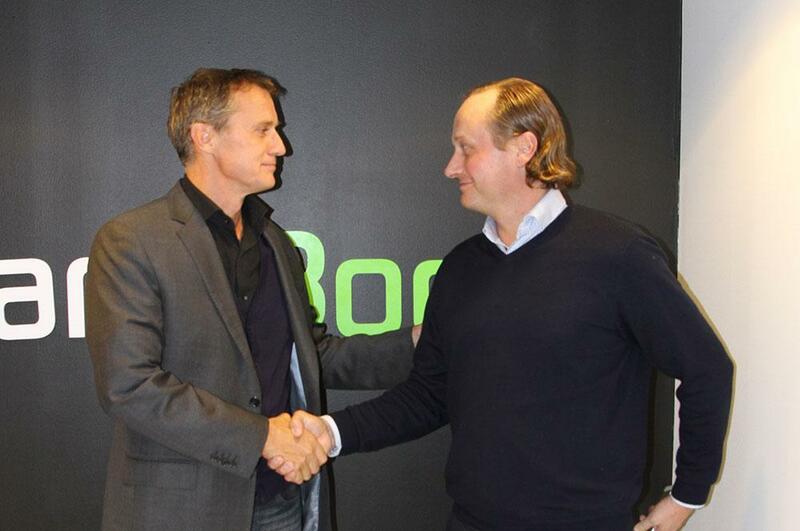 Michael Pask, Senior Vice President of IMG (left) and Mikko Manerus, CEO of GameBook shook hands to seal the partnership. We are happy to announce a partnership with the world’s leading sports, fashion and media company for worldwide management and marketing representation – IMG. The main idea of the partnership is that IMG will support GameBook to provide a new form of digital and mobile sponsorship activation for existing and future clients. Together we will look to enhance the golfing experience for players across all levels of the game – from amateur golf days to fan engagement with Tour Professionals through the app. IMG Golf is the none the less than market leader in the sport with 50 years of experience and nearly 500 staff working in different aspects of the golf business worldwide. This involves talent representation – where the business originally started – and IMG now works with over 100 of the best male and female players from over 30 countries. IMG owns, manages and stages more than 50 golf tournaments a year on every continent and on every Tour including Majors and World Golf Championships, along with special events and over 150 VIP golf days. The partnership was kicked off with a few days workshop in our Helsinki office. We were happy to have Mr. Michael Pask and Mr. John Grabowski visit us. The days they spent here seemed quite intense, but at the end of their trip everybody involved was all smiles. “Technology is playing a bigger role in golf than ever before and we believe that Golf GameBook can become the main social media platform for every type of golfer”, Michael Pask, Senior Vice President of IMG said. ”Finland is a country leading the way in innovative technology development and the GameBook team have done a fantastic job of launching this unique platform. IMG are excited to be working with GameBook as they grow and we will support them in delivering commercial success based on our assets and experience”, he continued. GameBook’s own Mikko Rantanen feels that this is a big step forward. “Benefitting from IMG’s global knowledge and expertise of the industry will enable us to move forward with a product that we believe can change the face of social media interaction in golf. Golf GameBook has enjoyed some early success and we are looking forward to working with IMG to find new ways to grow around the world”, he said at the end of the workshop. We’ll keep you posted on where this new partnership takes us!